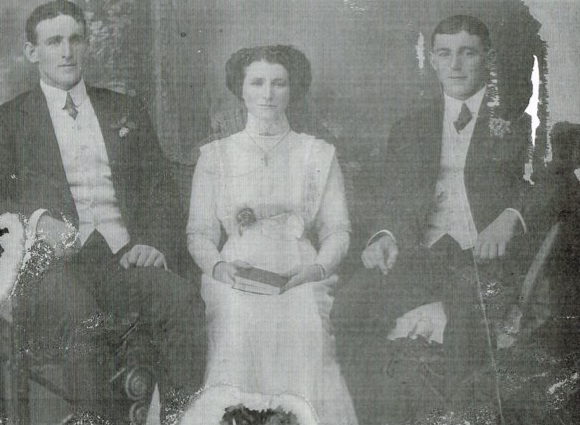 James Joseph Judge, Mary Judge and John ‘Jack’ Judge (Formerly Breheny’s in Ireland). Mary Judge (Nee Breheny) Oldest of the 7 children. 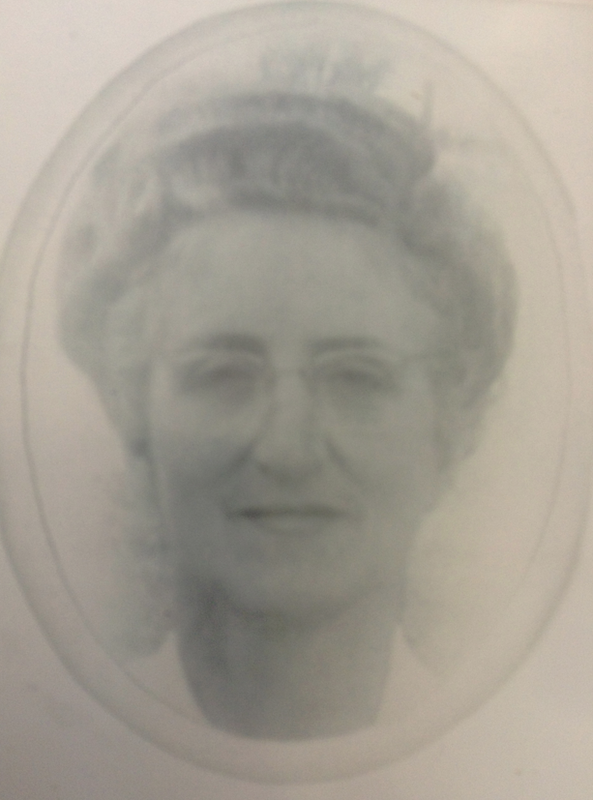 According to Mary Rose Dwyer (daughter of Bridie Battle), Mary Battle (nee Breheny) immigrated to Australia, which was a 3 month journey via ship. Mary brought with her a small piano accordion she used to play. 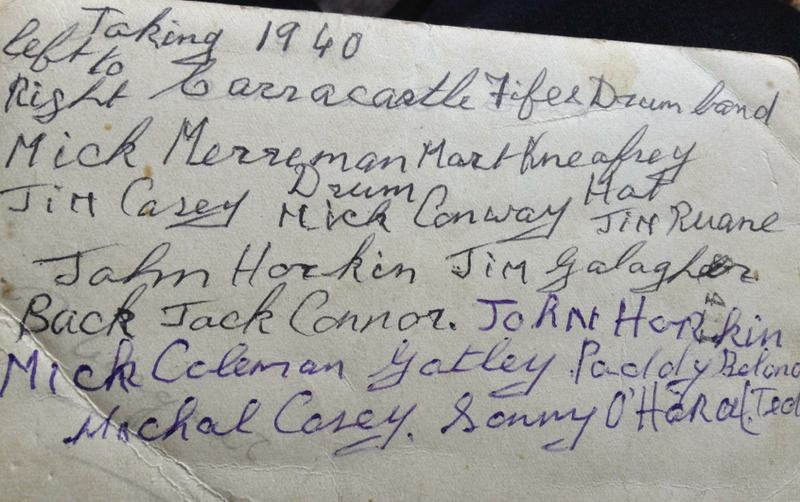 So there was definitely music in the blood of the Breheny Clan and remains so today in the very youngest of their descendants. James Joseph Judge (formerly Breheny back in Ireland) who married Ruby Rogers (my grandmother) from Longreach Australia. They had two children Henry ‘Harry’ Francis Judge (2.10.1922, my father) and James Joseph Judge (13.11.1920). James became a widower. Ruby died in childbirth approx. 1925, when Harry was 3 years old. James Joseph Judge (my grandfather) lost his arm in a Tram accident in Brisbane. He was particularly business savvy and ran successfully three hotels. The Commercial in Longreach, another in Brisbane and the The Clarence Hotel, on the corner of the main street, next to the Martre Hospital, Woollengabba, Brisbane. In 2013 there is a sign that lists all the former owners of the hotel. It has in 2013 a bottle shop, a restaurant, a huge bar, a betting outlet and very spacious with accommodation in the upstairs accommodation area. John ‘known as Jack’ Judge (Formerly in Ireland Breheny and Born 5/06/1892 – Buried Townsville date TBC) later changed his name to Judge after immigrating to Australia. John had six children. Margaret Patterson (nee Judge), Ellen Judge, James, Kathleen, Patrick and John ‘Junior’. John Junior was married to Alma (1952 – 1985 Died aged 53 of a heart attack). Ellen Breheny Judge – (Twin sister to Patrick) moved to stay with her Aunt in Chicago, America (Anne Lee). Ellen (Pictured here) married Patrick Coughlin. Ellen (My great Aunt or my grandfather James Joseph Breheny’s sister) is today buried Evergreen Park, Illanoi, USA. Ellen apparently had 4 children who survived infancy: Mary Ellen, Patricia, Helen, and Margaret. Patricia married Bernard Flederbach, both deceased, buried, Morristown, TN (Note their daughter Maureen Flederbach) ; Helen married Richard McGowan, both deceased, buried Evergreen Park IL; Margaret (Peggy) married Gerard (Jerry) Kovarik, Jerry deceased, buried Morristown TN, Peggy living in Morristown TN. Mary Ellen resided in El Paso, TX; Jack Resen, deceased, buried El Paso TX; son Patrick a priest of the Diocese of Knoxville TN. Ellen and Pat had 2 children. John Coughlin (Known as Pat). He went to England I know very little about him. Mary Ellen married Jack Resen and they had one son Patrick Resen (now a Catholic priest living in Texas). Used to walk to church with his cousin Jim Coleman, whose grandmothers were sisters and neighbours. He never married, although he wanted to marry a nurse called ‘Cath Regan’ whom his mother wouldn’t approve of, because she knew Tom had TB. Tom lived with his mother and father and today is buried with his father John Breheny, at Carracastle, County Mayo Ireland. Died of Tuberculosis aged 25 years. Is buried with her mother, Catherine Breheny (nee Lee) and her grandparents the Lees also. Tom’s father John, died before him according to Jim Coleman (TBC circa 1848). Also Tom died also a year before the Carracastle Brass Band photo was taken. Apparently Thomas Breheny used to play the flute. He died more than 10 years before this Carracastle brass band was photographed was taken. Catherine used to take the children down the crossing where there was music played and used to dance there. 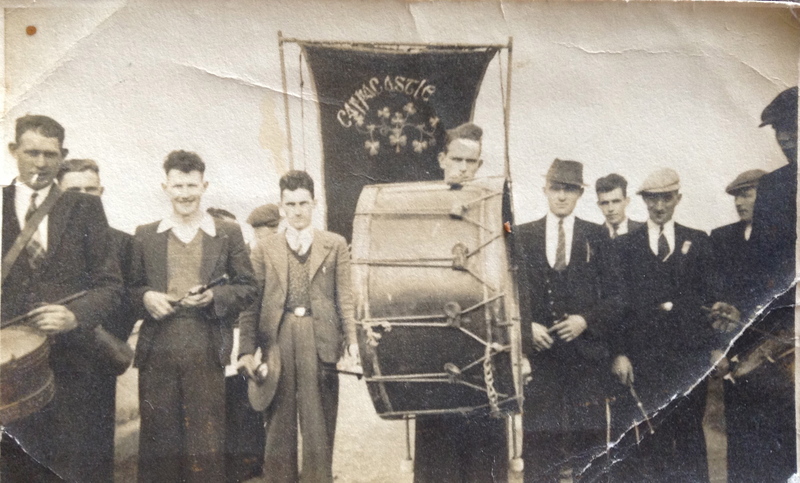 According to Jim Coleman, the Carracastle drum kit was kept in Catherine and John Brehenys’ family home. Catherine Breheny gave Thomas’ leaver pocket watch to Jim Coleman. According to Jim Coleman, the watch needed repairs and he took it to a watchmaker and never got it back, that was in 1942. Ellen Breheny Coughlin and Patrick Joseph Coughlin had 4 children who survived infancy: Mary Ellen, Patrica, Helen, and Margaret. Patriciia married Bernard Flederbach, both deceased, buried, Morristown, TN; Helen married Richard McGowan, both deceased, buried Evergreen Park IL; Margaret (Peggy) married Gerard (Jerry) Kovarik, Jerry deceased, buried Morristown TN, Peggy living in Morristown TN. Mary Ellen resided in El Paso, TX; Jack Resen, deceased, buried El Paso TX; son Patrick a priest of the Diocese of Knoxville TN. Hi my name is Sean Breheny my ggrandfather was from Fauleens in Carracastle his parents were James and Anne Breheny nee Grady.Their family came from Currinah town land.They had children Michael, John James,Thomas,Patrick and Martin I suspect there is a connection somewhere in the family tree.Hopeing to share information. Thank you Sean for your update on the https://judgeancestory.com/find-relations/catherine-lee/7-breheny-children/ website.